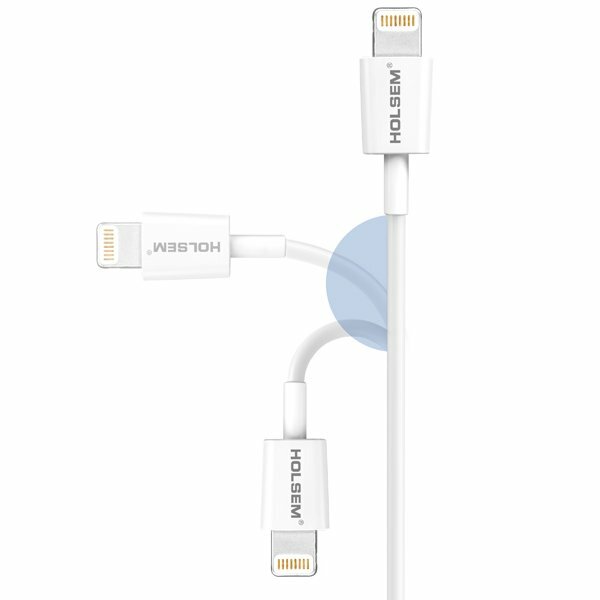 ▪ APPLE MFi CERTIFIED: Complete charge and syncing cable for your Apple devices and no more error/warning message. ▪ UNIVERSAL COMPATIBILITY: 100% compatible with iPhone X / 8 / 7 / 6s Plus / 6s / 6 Plus / 6 / 5s / 5c / 5 , iPad Pro, iPad Air / Air 2, iPad mini / mini 2 / mini3/mini 4, iPad 4th gen, iPod Touch 5th gen, iPod nano 7th gen.
▪ SAFETY: Built with environmental protection material, which is safe and non-toxic.Heat-resistant connectors ensure complete safety and reliability. ▪ OUTSTANDING DURABILITY: Original 8 Pin connector with a 5,000+ bend lifespan. At HOLSEM, we dedicate ourselves to finding various solutions to an easier, smarter, and more convenient life style. By using the power of technology, we help people realize how much better the life could be. We discover your needs for simplicity and limitless possibilities, and make products that truly take you there. We strive to provide our customers with premium quality, yet at affordable price. And we make sure when we do this, we do it in environmentally responsible ways. 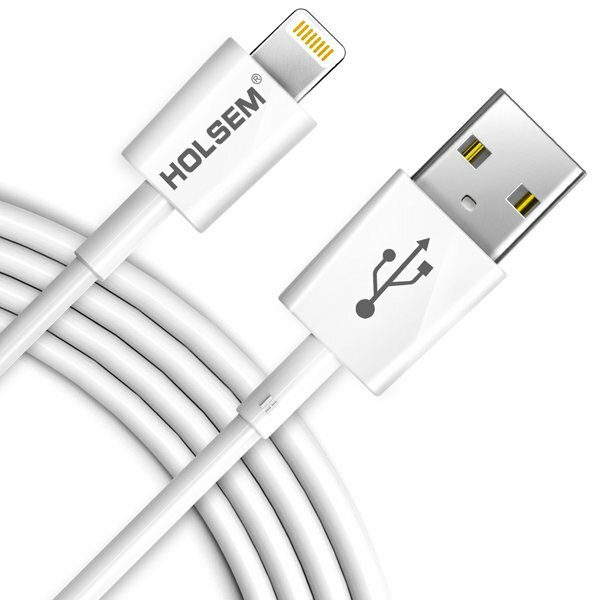 HOLSEM Lightning to USB Cable (3ft/1m) for iPhone, iPod, iPad and more. 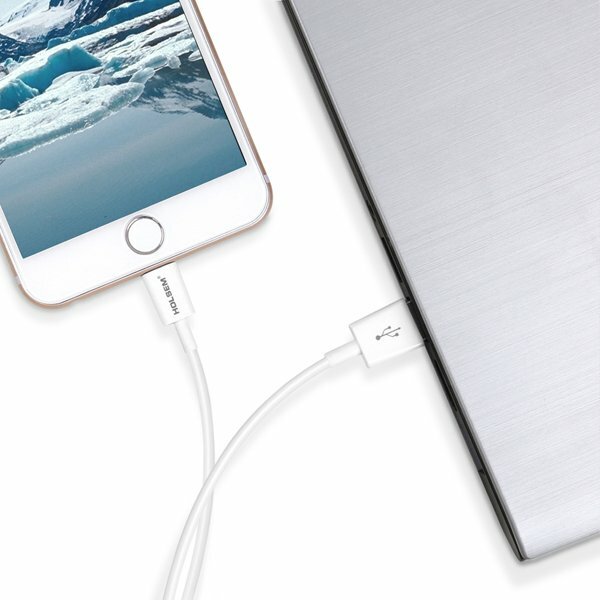 Pure copper wire and original 8-Pin connector assure high & stable speed data transmission and fast charging speed. Dual Side Available makes charging so easy. 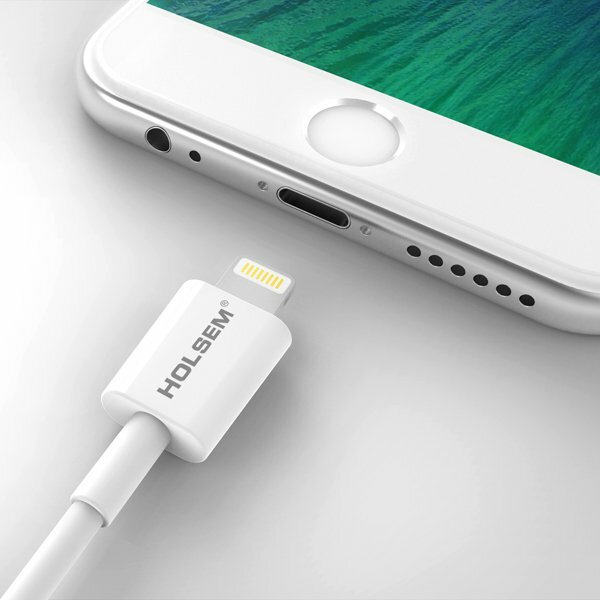 100% compatible with iPhone 6s Plus / 6s / 6 Plus / 6 / 5s / 5c / 5 , iPad Pro, iPad Air / Air 2, iPad mini / mini 2 / mini3/mini 4, iPad 4th gen, iPod Touch 5th gen, iPod nano 7th gen.
Each cable contains an authorization chip issued by Apple to ensure complete charge and sync compatibility with your Apple device, and no more error/warning message. 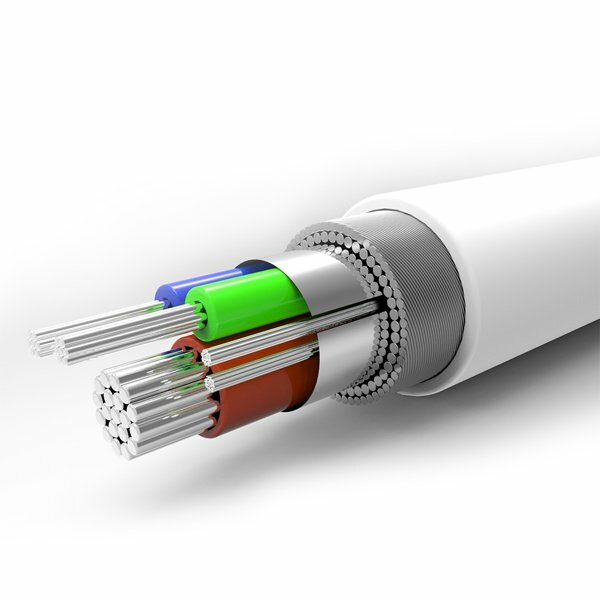 Heat-resistant connectors and environmental protection material ensure complete safety and reliability.